I like to keep informed about research on crocodilians, even if my work on them as waned in recent years. As is usually popularly known, crocodilians (which includes true crocodiles, as well as alligators and caimans) survived the Cretaceous-Paleogene extinction that wiped out most dinosaurs. That leaves both birds and crocodilians as the only surviving archosaurs. 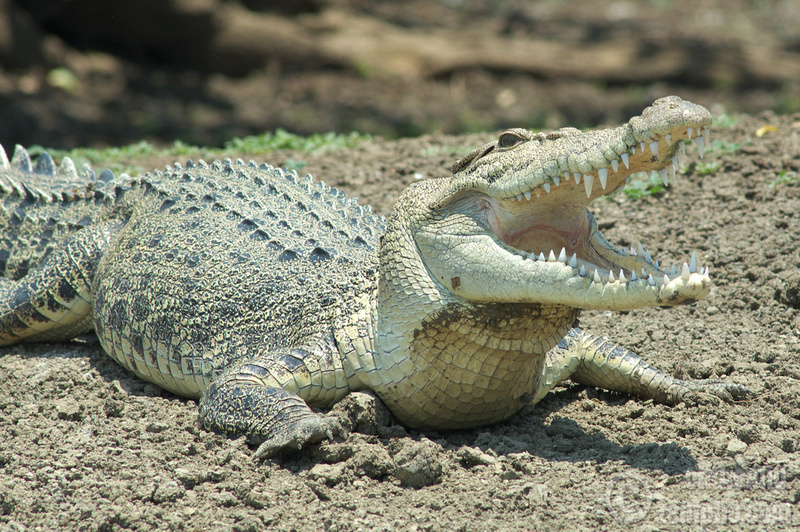 We know from living birds and crocodilians that some maternal care is common. This can lead exciting moments collecting eggs from crocodile nests today, as the mothers are generally unhappy about this. A small bipedal ape annoying a carnivore that can weigh several hundred kilograms is a bit of a mismatch. There’s also good evidence that many dinosaurs (like Maiasaura) also cared for their young. It is hypothesised therefore that the ancestors of crocodilians also practiced parental care (at least maternal anyway). 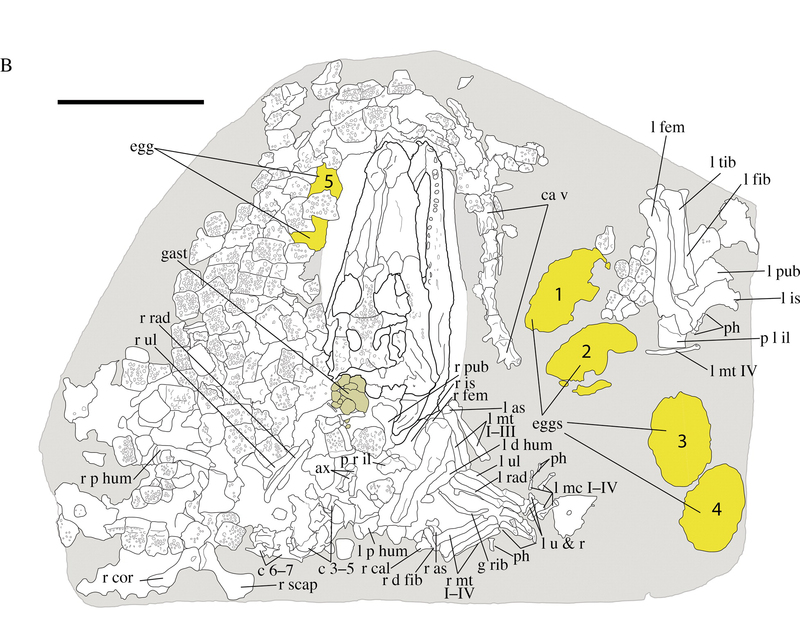 In 2015 two researchers working in Middle Eocene (40-50mya) deposits in Messel (Germany) made quite a discovery. It was a Diplocynodon darwini (syn. D. darwnii) atop several eggs, 5 of which remained. (It’s also a nice illustration of the fact modern crocodiles and alligators haven’t stopped evolving, they don’t look like their ancestors). There’s actually a large number of crocodilian fossil species found in Europe. This reflects both changes in global temperatures and continental drift. This is a small crocodilian species. It’s not the size of the modern American alligator. What was also of interest was that the cranial sutures (specifically neurocentral) hadn’t fully fused. This is diagnostic of immaturity in extant crocodilians. With permission of the authors, I’ve reproduced their diagrams below (with link to their paper). 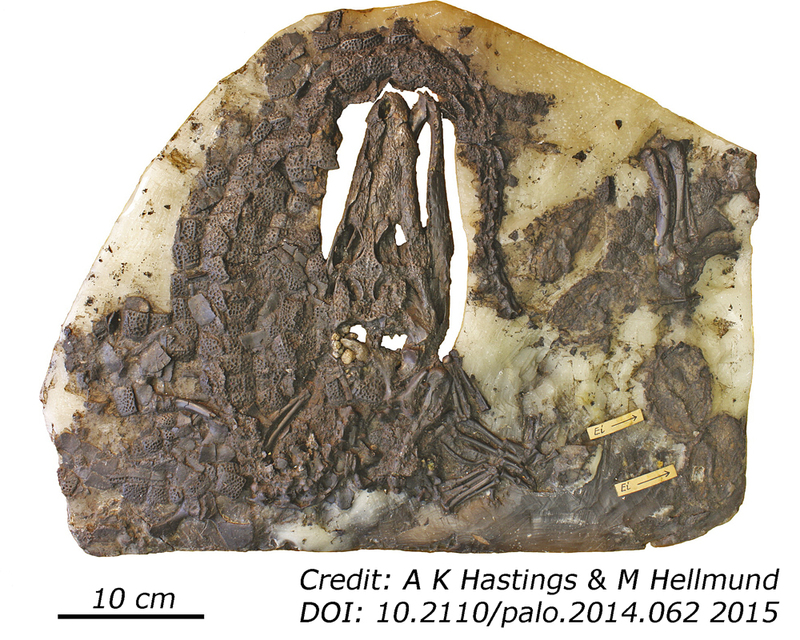 The specimen is remarkably well preserved. The line diagram below highlights the eggs.